As Conservatives get ready to vote on reopening the abortion debate at their 2018 Convention in Halifax this weekend, one of Jason Kenney’s recently nominated United Conservative Party candidates has publicly aligned herself with a hardline social conservative group pushing to rewrite the party’s policies on abortion. Michaela Glasgo, who was nominated earlier this summer to represent the UCP in Brooks-Medicine Hat during Alberta’s provincial election next year, registered with an anti-abortion group that is working to sway the outcome of policy votes on social conservative issues like abortion. Glasgo’s name appears on a convention registration page on the website of the anti-abortion group RightNow, a group that backed Kenney’s UCP leadership bid and is currently working quietly behind-the-scenes to nominate 52 anti-abortion candidates for Kenney’s UCP. “Are you pro-life? Are you going to the Conservative Party of Canada Policy Convention as a delegate?” asks RightNow. Michaela Glasgo is one of the first names that appears on the online registry. The anti-abortion group is explicit about their intentions in Halifax this weekend. 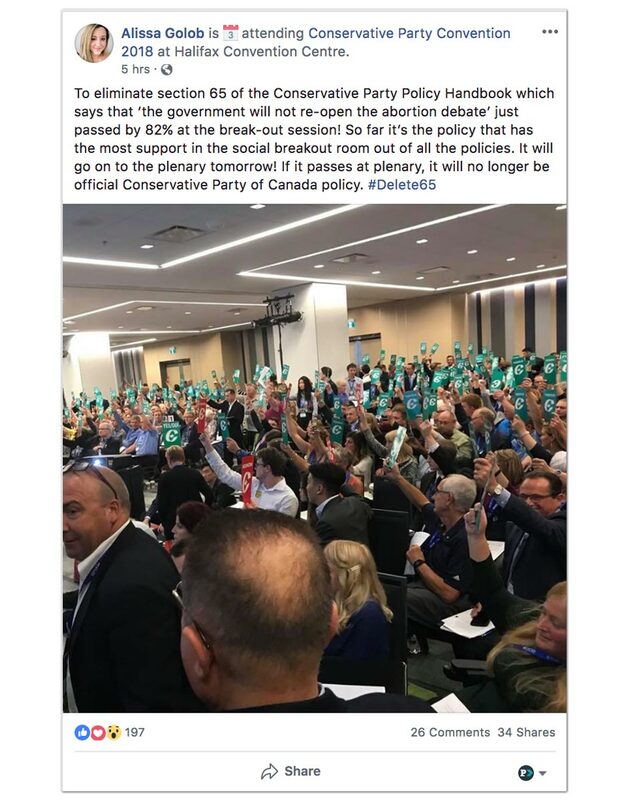 On Friday, RightNow and social conservative delegates were behind a successful push to force a vote on changing the Conservative Party of Canada’s official policy on abortion. In advance of the convention, social conservative activists had been coordinating to stack policy votes in an effort to rewrite the party’s policies on abortion. Glasgo’s ties to social conservative groups go even deeper, however. 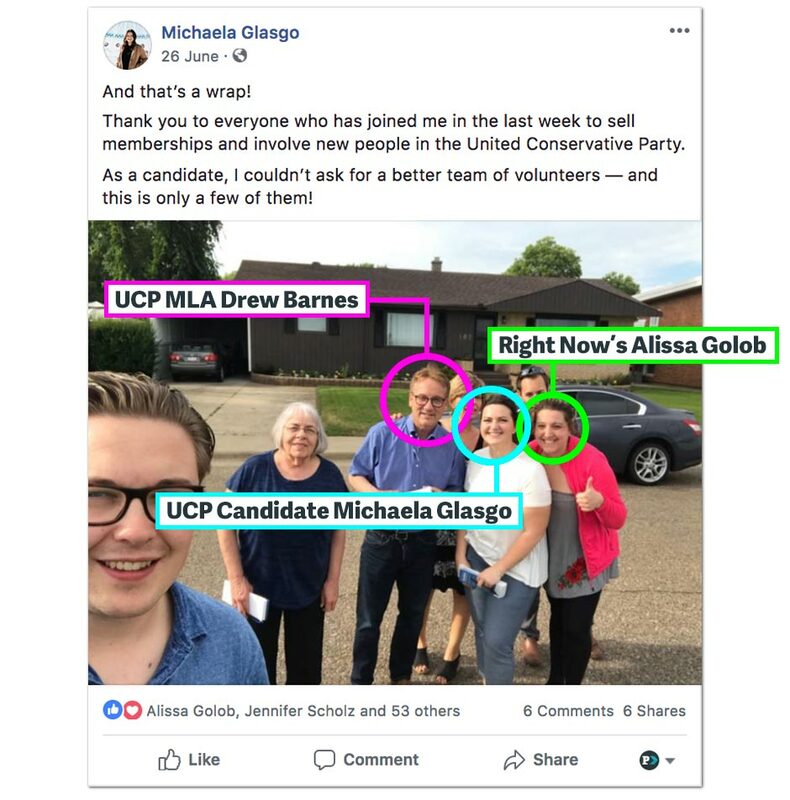 Campaigning to win her local UCP nomination, Glasgo was spotted door knocking with Alissa Golob, head of the anti-abortion group RightNow, and UCP finance critic Drew Barnes. Parents for Choice in Education is connected with several individuals who have promoted staunchly homophobic views – PCE has itself has previously advocated gay conversion therapy. Anti-abortion groups in Alberta have been working quietly behind the scenes to stack nomination meetings and install social conservatives in the UCP. 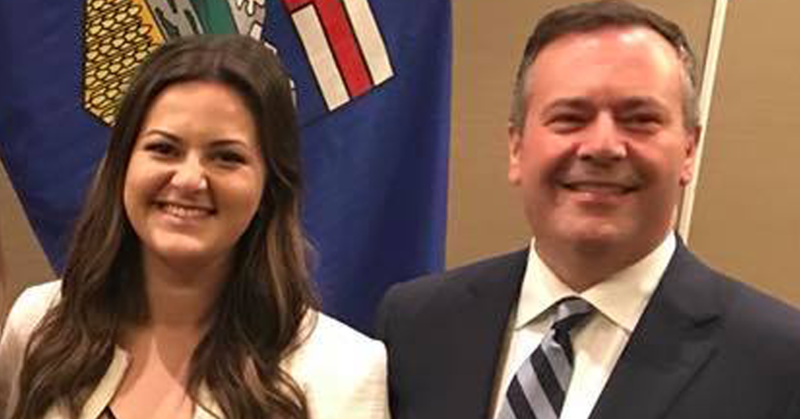 As PressProgress recently reported, one of Jason Kenney’s former staffers, who has close ties to the UCP leader’s inner-circle, had been recruited by Right Now to lead an effort to nominate anti-abortion candidates in 52 target ridings across Alberta. At the Conservative convention in Halifax, meanwhile, social conservatives will be pushing for a number of anti-choice and other extreme resolutions including changing the Conservative Party’s official position on abortion, calls to “protect the life of the unborn child” and excluding funding for abortion from foreign aid. Conservative MP Larry Miller is using his official Twitter account to boost a dubious story falsely claiming Canadians Muslims are trying to legalize pedophilia. 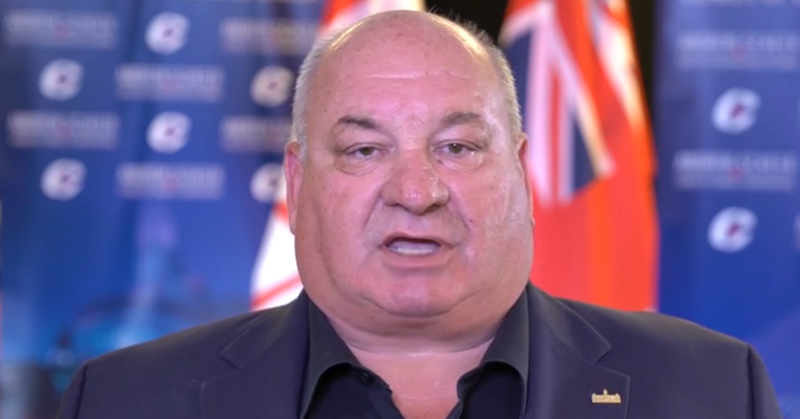 As Canada’s Conservatives arrive in Halifax for the party’s 2018 convention, Larry Miller is capping off a wild month of racist bozo eruptions that saw Conservative leader Andrew Scheer and several top MPs defend someone affiliated with far-right anti-immigrant fringe groups.